I got side tracked again….. I received some material in the mail that i had ordered, for it was on sale. (Who can skip a good sale?) 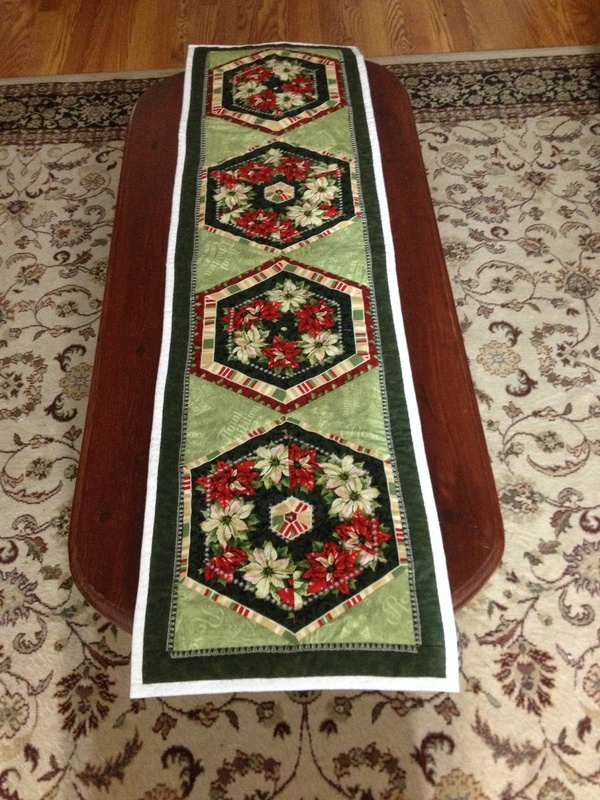 I had ordered it to make some christmas table runners. Well, I got caught up with all the many ideas what to do. 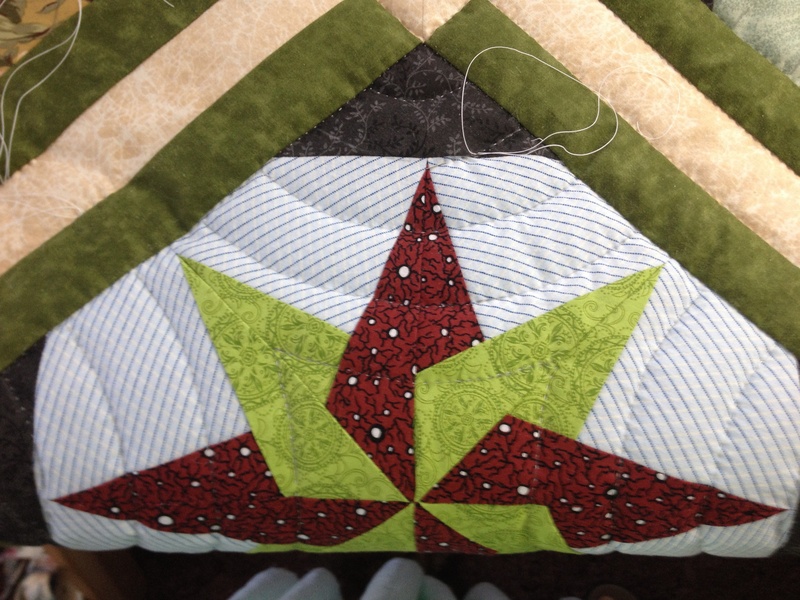 I wasn’t sure about the triangles between the main blocks. Maybe a bit busy? so I picked up the triangles and got this. enjoyed the project that I then went to playing around with circles. 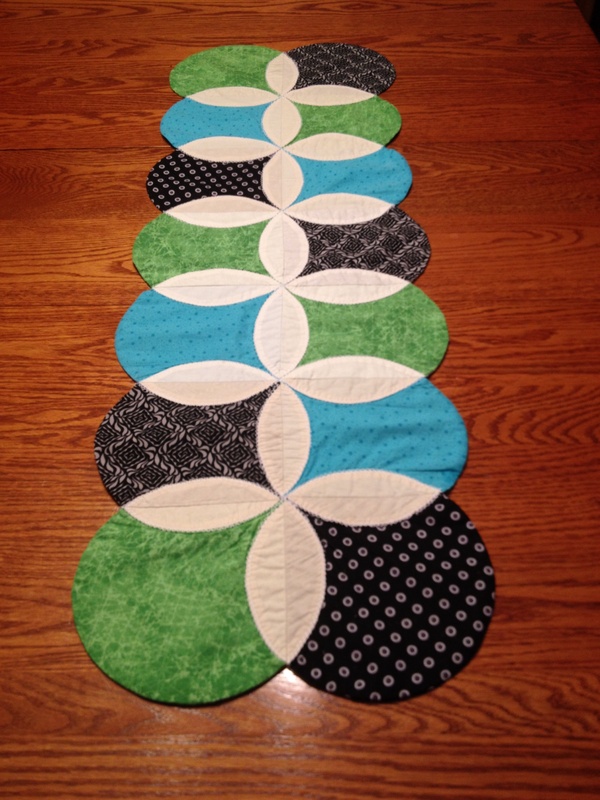 I had made a table runner for a gift some time back that was made with circles. It went to together quickly and I enjoyed making it . 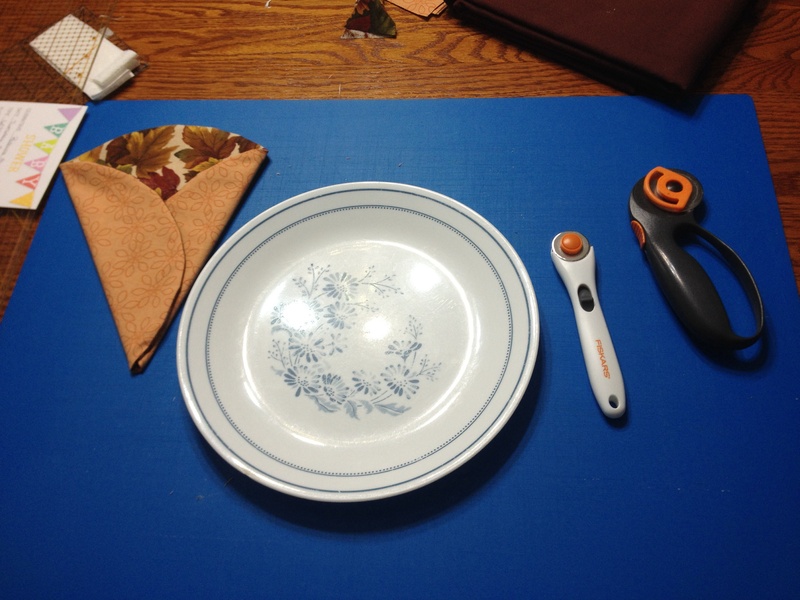 I got a plate out of the cup broad . 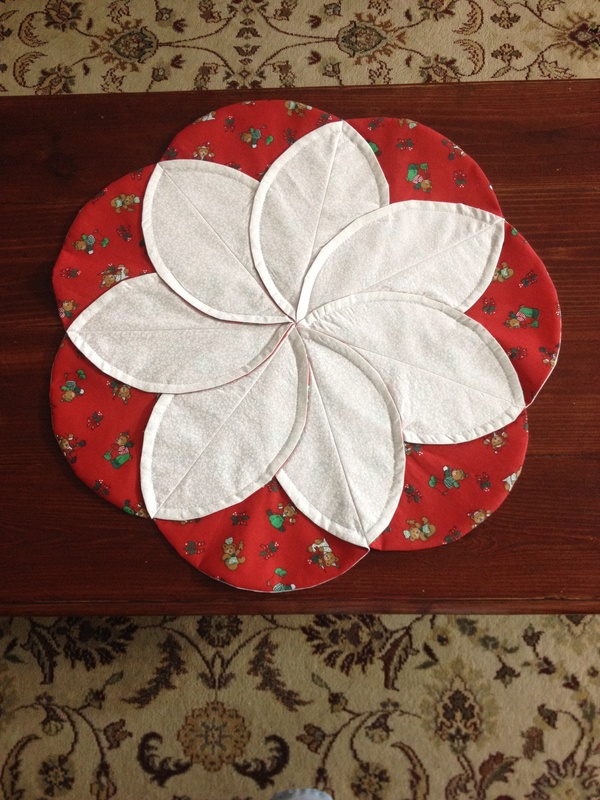 cut around the plate,sewed the two colors together,and then folded the circles,placing them side by side to make a design. 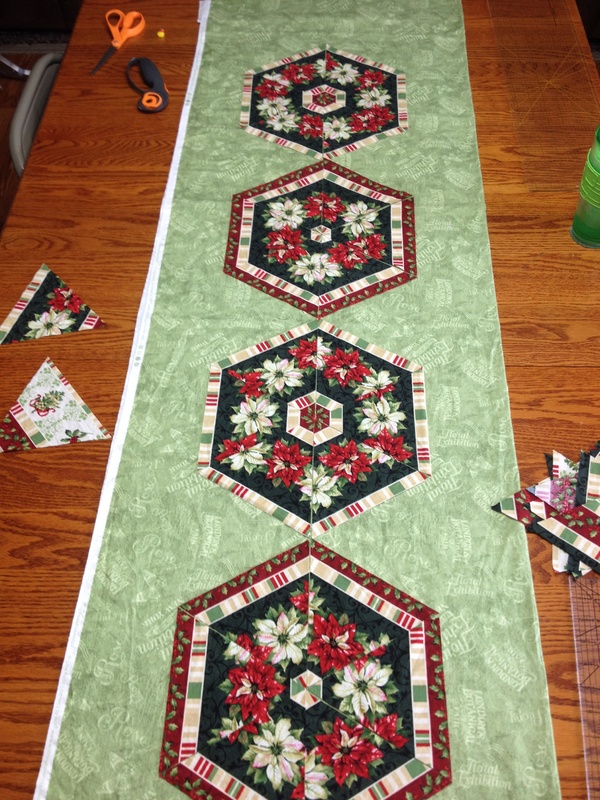 numbered the pieces so i wouldn’t mess up the pattern. 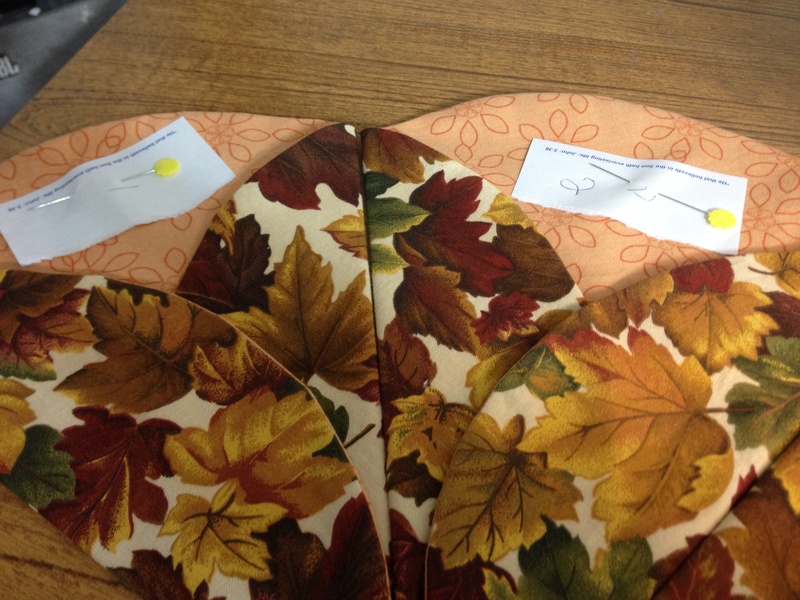 sewed the petals together , with a top stitch to hold the petal down. final results.. and made a christmas one also. 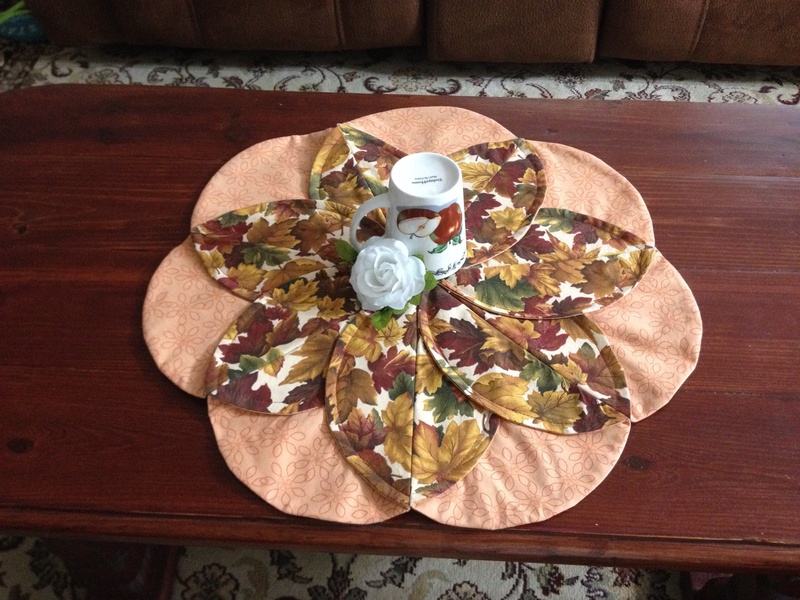 This entry was posted in sewing and tagged table runners on September 26, 2014 by Deb. 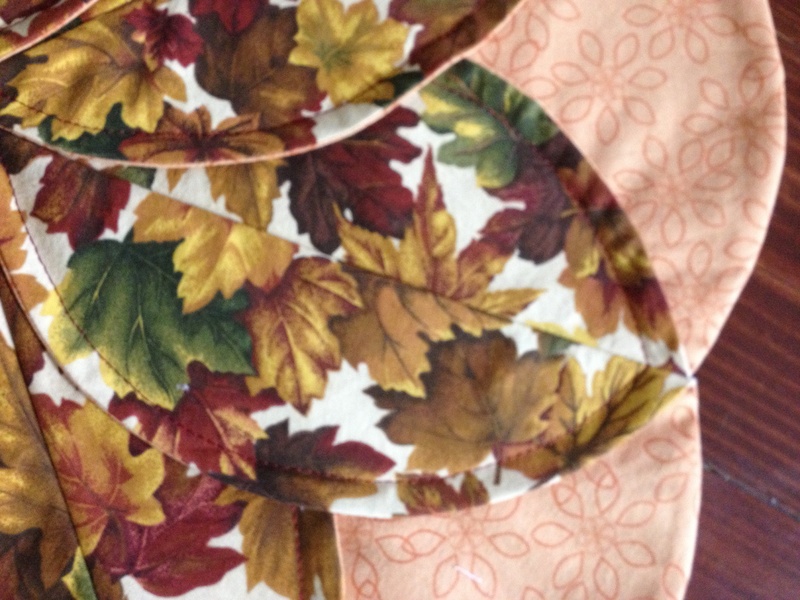 It is hard to believe that summer is going out, and fall, right around the corner! I then realized that christmas will be here just as fast and that I better get myself busier! 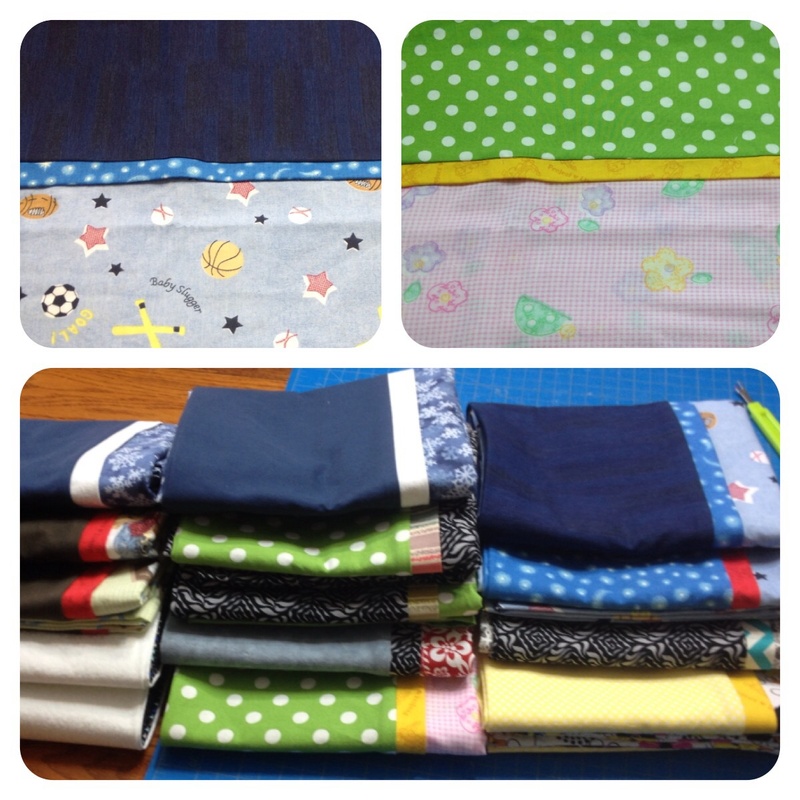 I’m making pillow cases for each one, that makes 16 cases that I need to make. 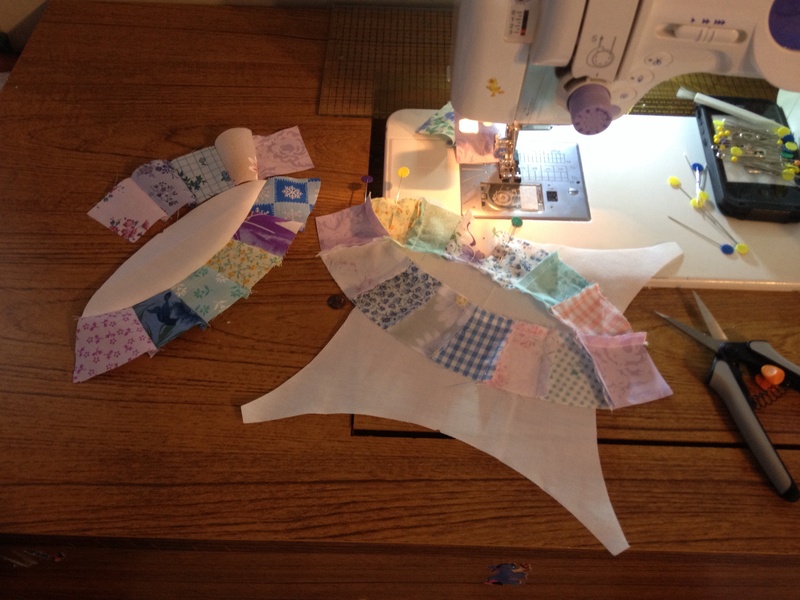 I have ten done so far,they go together very quickly. The two on the top with the navy and white go to Hubby’s Mama. We are going to visit them this weekend and I just wanted to take her a little something. 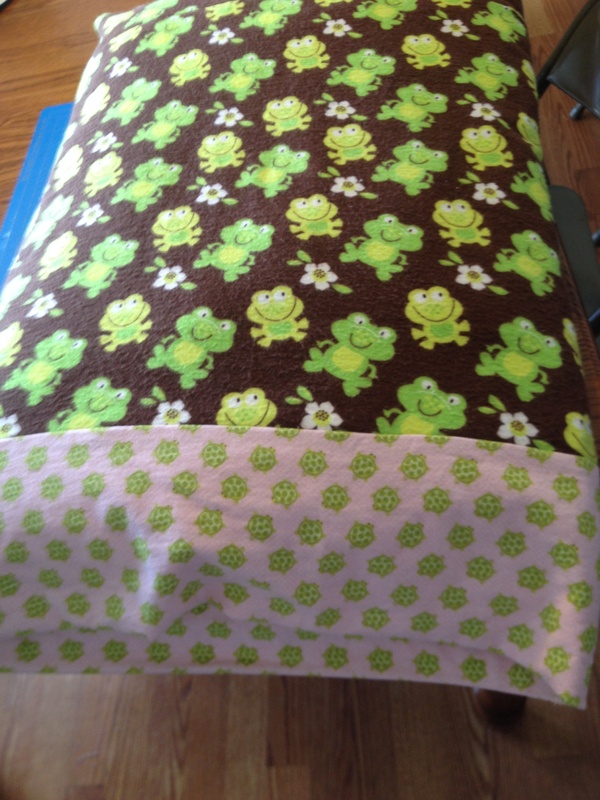 I also made several of these for my special daughter. They are made out of flannel.Perfect for her as she does drawl,and she doesn’t like her face in it.Cant say as I blame her! 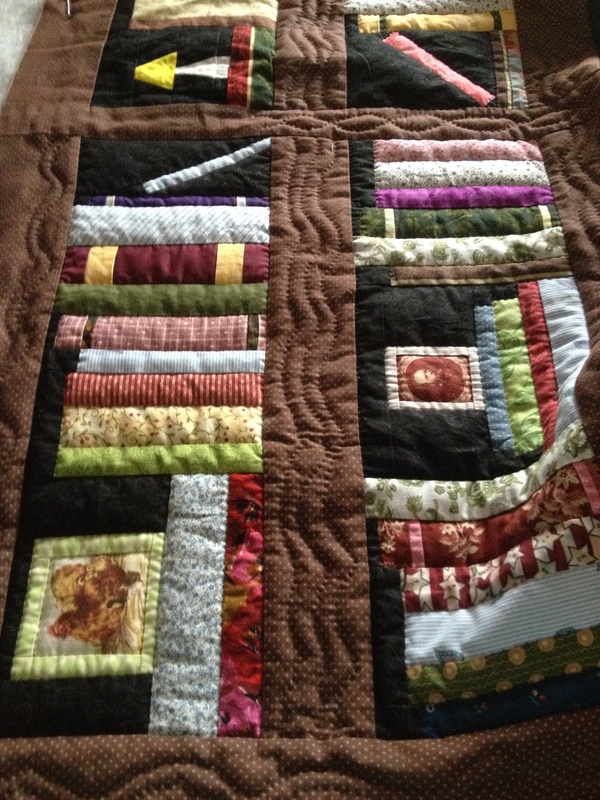 I have been working on a quilt for my daughter that she wants to give as a gift to a friend that” Loves ” books. I got the hoop from Barnett’s laptop hoops. They are hand made and very nice!! I have the 14″ ..perfect for the lap. 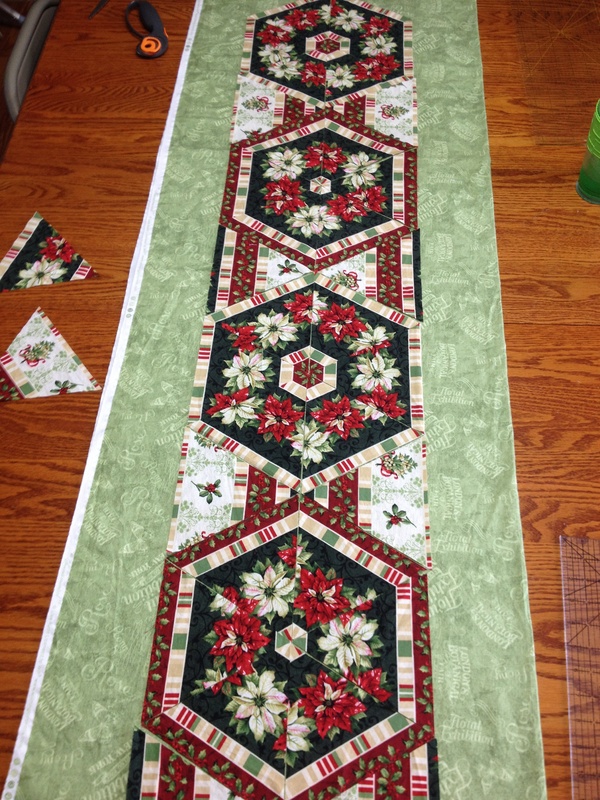 I am making some head way on this queen size quilt that is in my big frame. I’m over half way!! 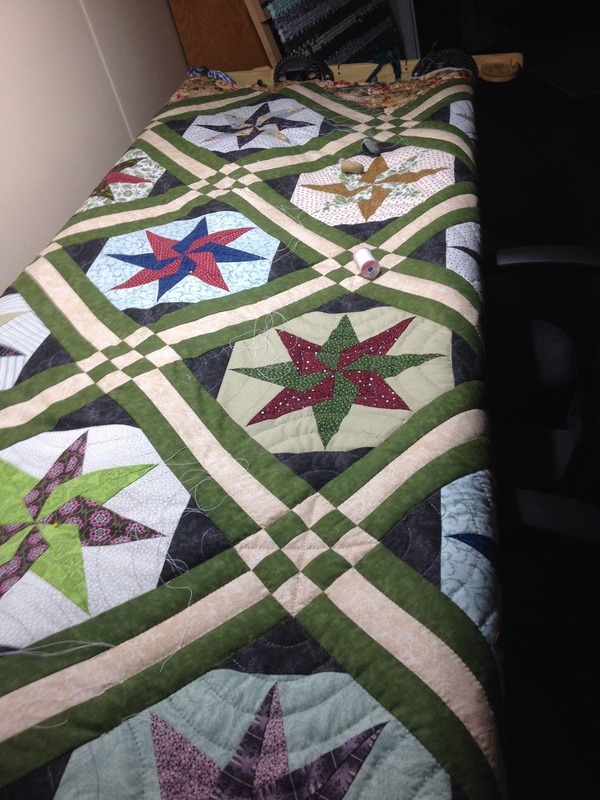 This entry was posted in hand quilting, quilt on September 19, 2014 by Deb. 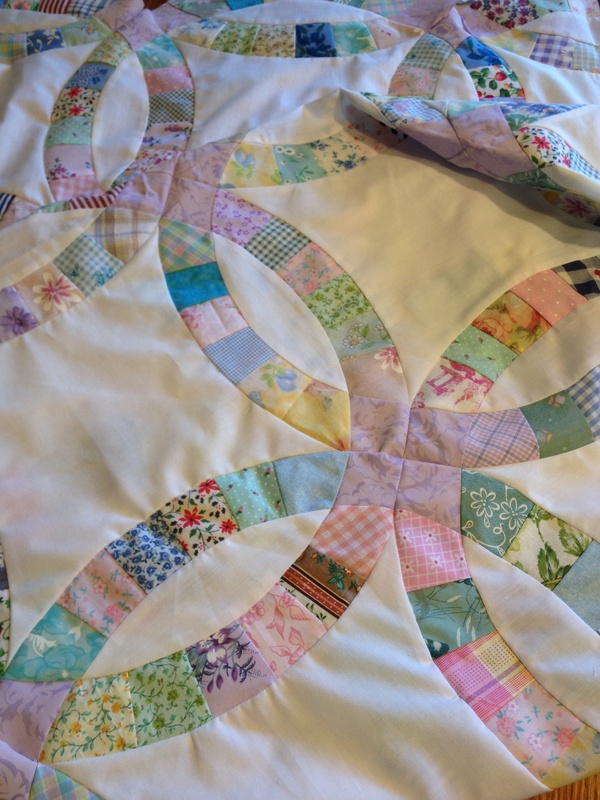 I have a little side hobby other than quilting which I enjoy.I save all my old dresses ,hubby shirts ,t-shirts,the children’s clothes that are out grown,and old sheets. A pack rat you might say.. well sorta of I guess! 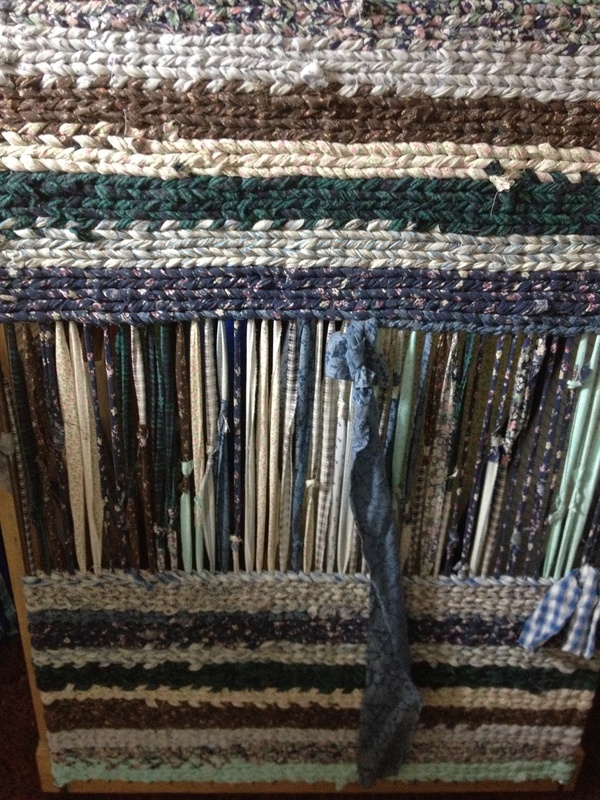 Hubby made me a frame for me to make these rugs that tough and last a good while. 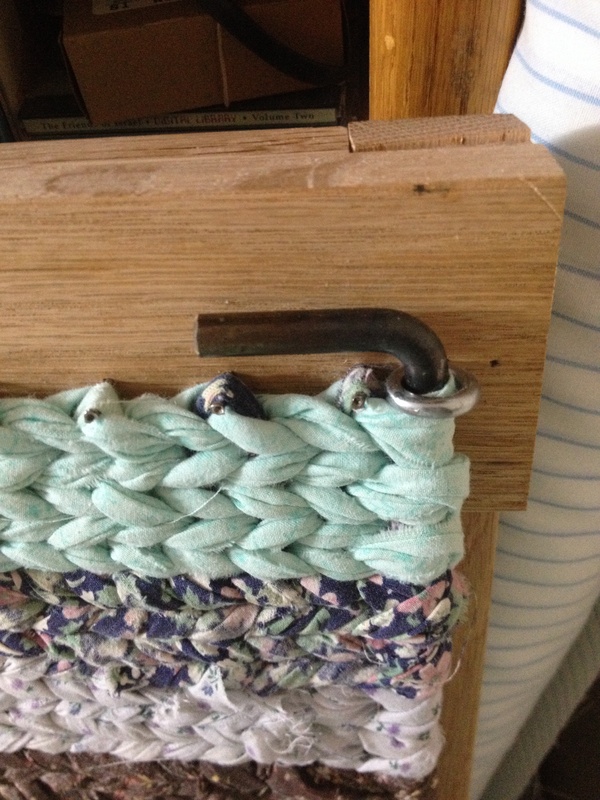 the wooded frame is 27 in by 39 in.He put in nails across the top about half an inch apart with the rods down the sides. 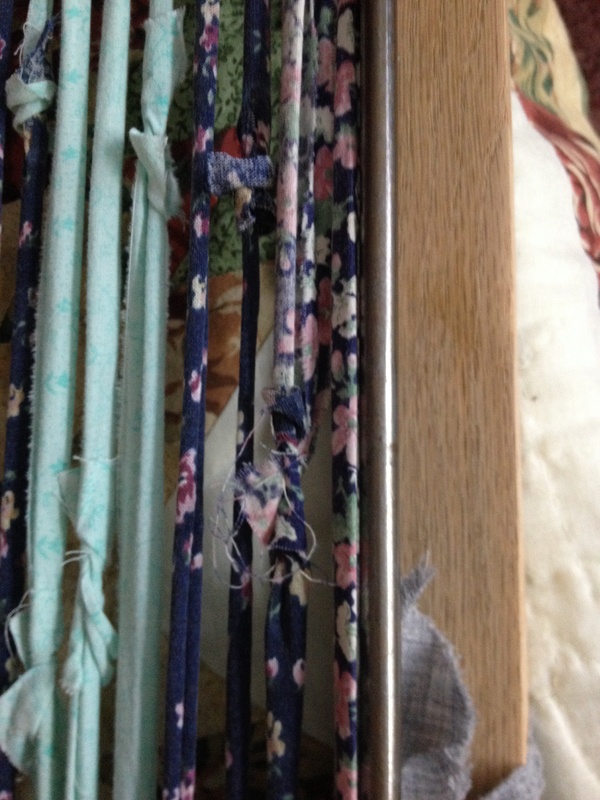 I use 1.5 in strips for the warping,2.5 for the weaving. 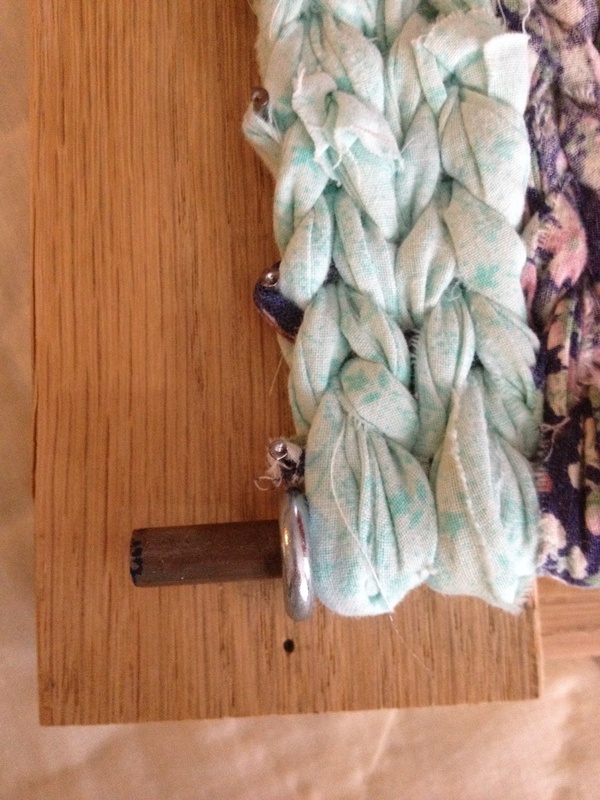 It is amazing how much fabric you can put into one of these rugs. 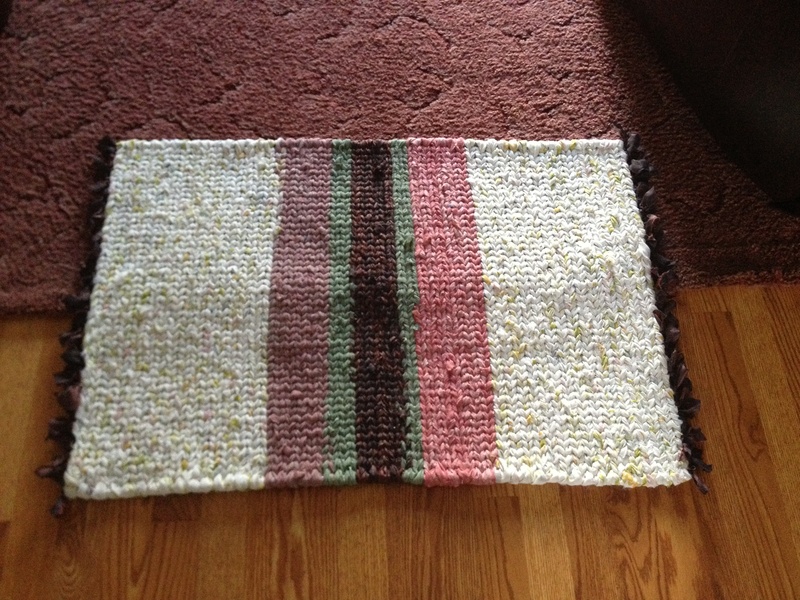 I used a set of old full size sheets that had worn thin, I used the old sheets in the rug above. It is the light on each end. 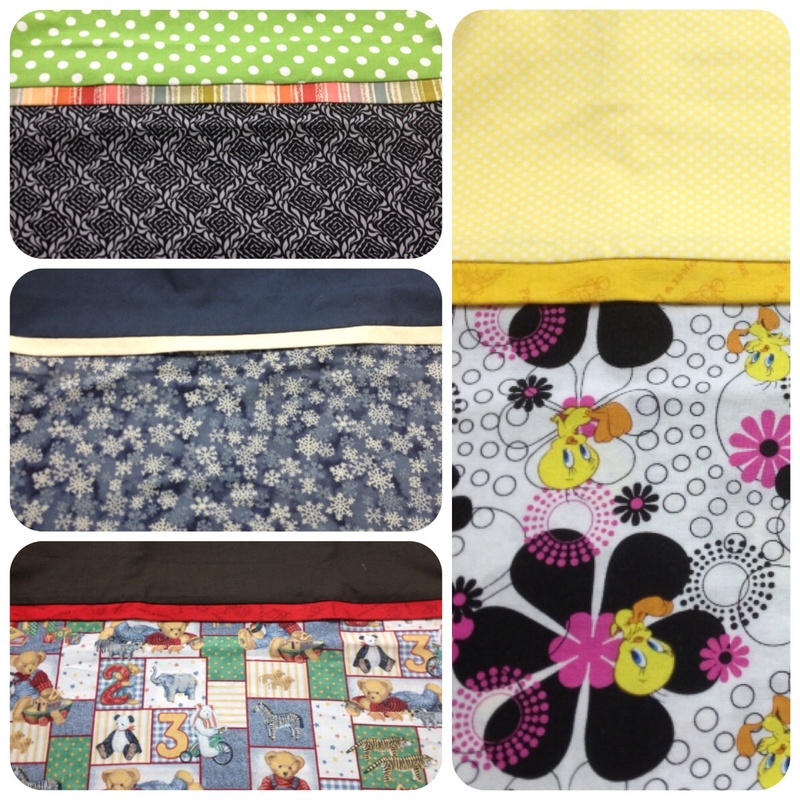 the top on one side, the bottom on the other side,with other fabric in the middle. this one was made with just a wide variety of clothes that I ripped in strips. 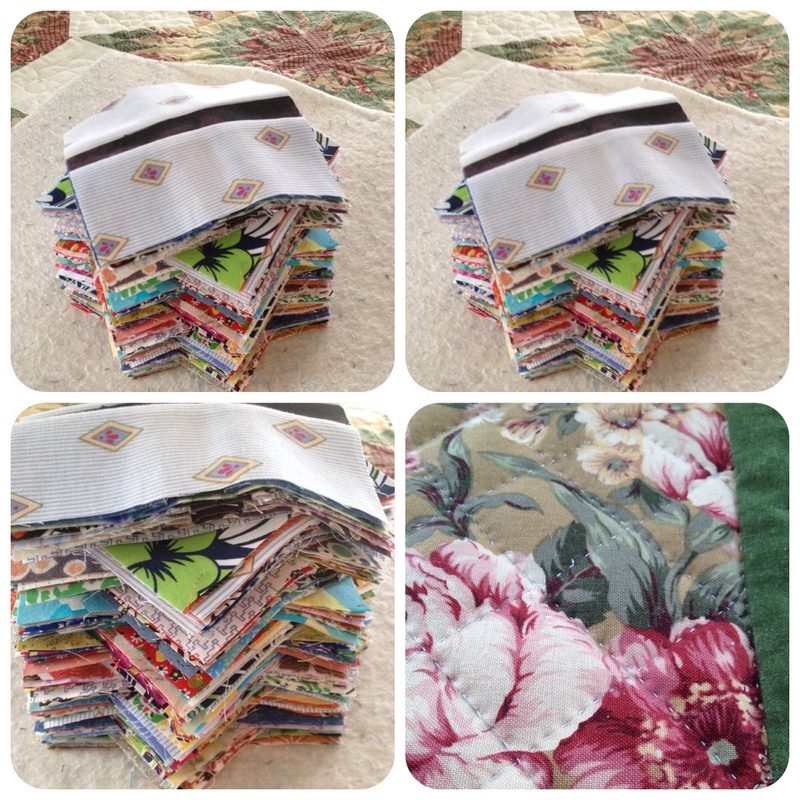 I have also decided to finish up a few projects that have been pushed to the side. 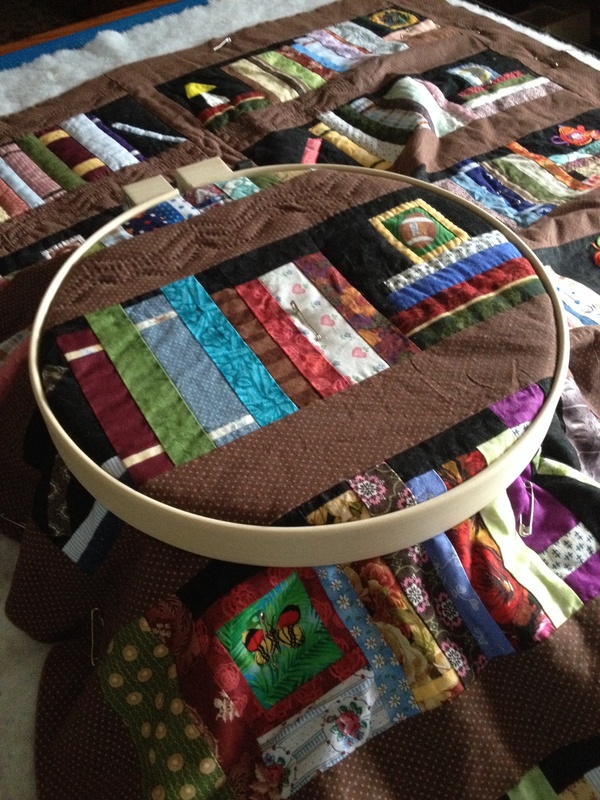 this double wedding ring,and a scrappy quilt that the blocks are all in order, ready for me to sew. 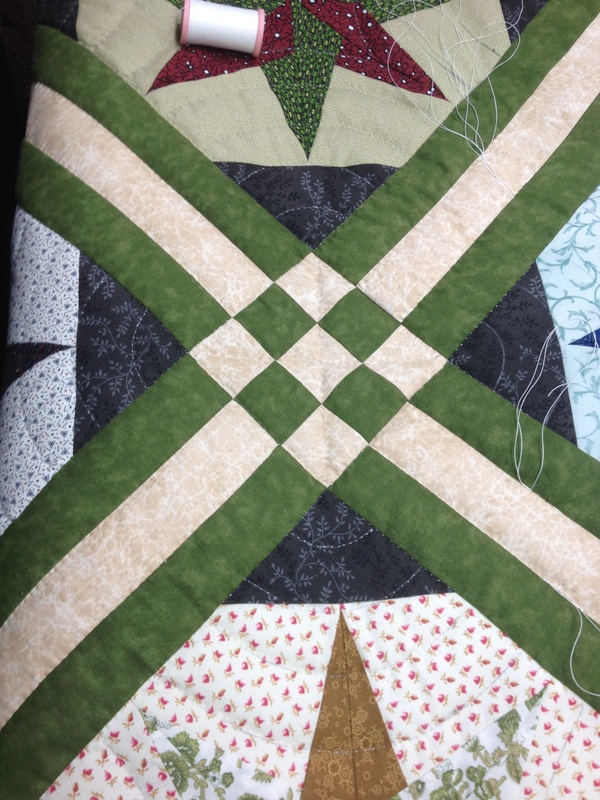 and in-between all that I sit to hand quilt .. 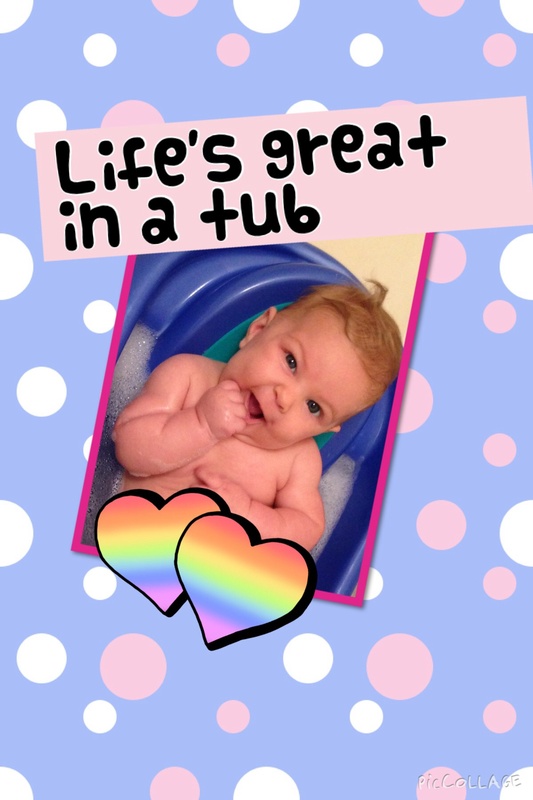 I had a lovely weekend end with this little girl who is my youngest granddaughter . Candice weights a chubby 16 lbs at 3months old! 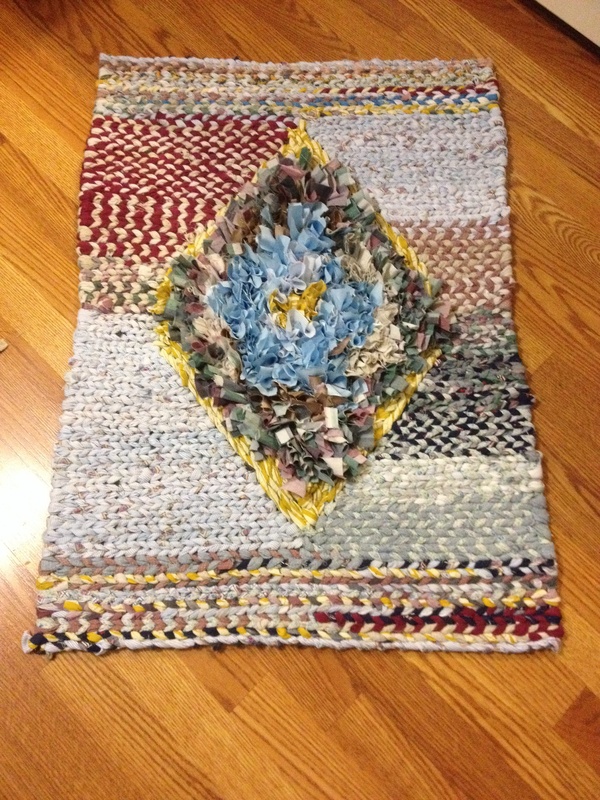 This entry was posted in Uncategorized and tagged rag rug on September 6, 2014 by Deb.